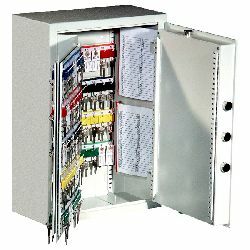 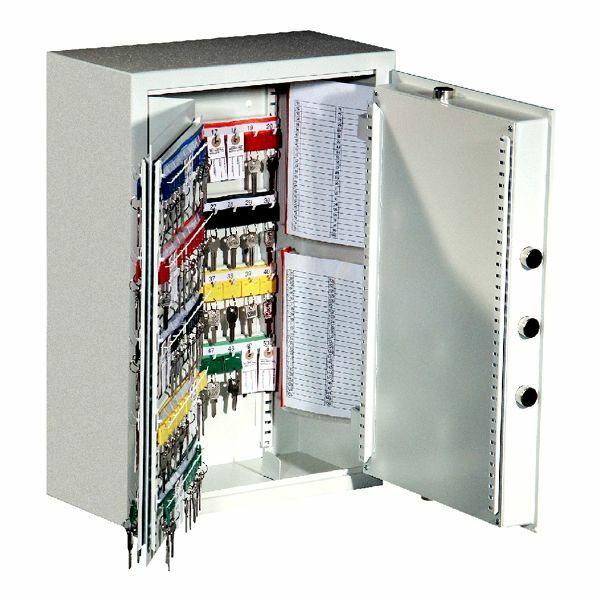 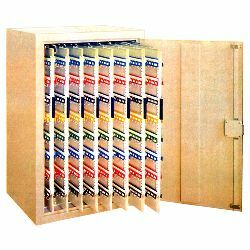 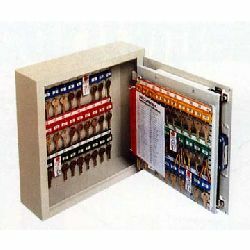 The more robust construction of our Key Safe range provides greater security for your keys than a standard key cabinet, yet still provide a simple way to organise / manage your keys and to easily identify when a key is missing. 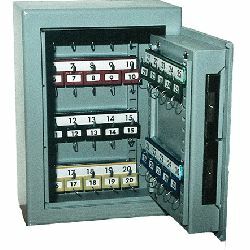 All units feature adjustable hanging bars, are insurance approved, and feature heavy duty construction from sheet steel, plus a 7 or 8 lever, double bitted lock mechanism. 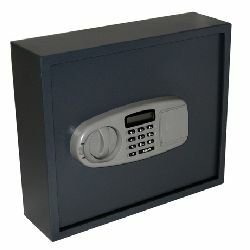 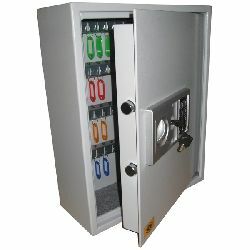 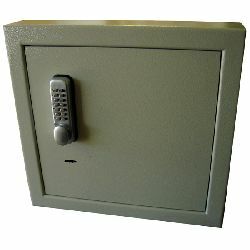 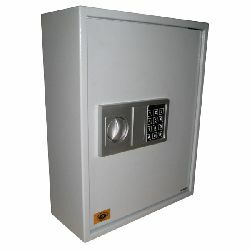 Our wall mounted units provide storage for between 60 and 300 keys, whilst our floor standing safes offer secure storage from 960 up to 3,680 keys!